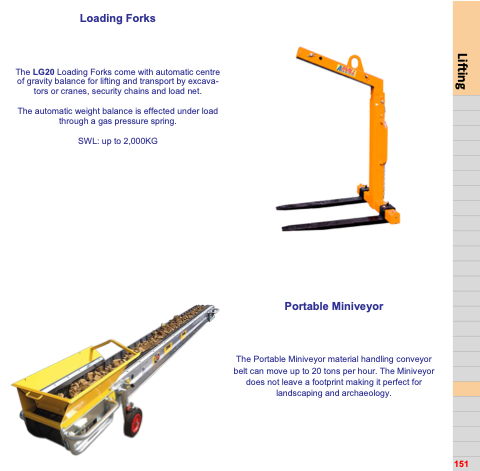 The LG20 Loading Forks come with automatic centre of gravity balance for lifting and transport by excava- tors or cranes, security chains and load net. The automatic weight balance is effected under load through a gas pressure spring. The Portable Miniveyor material handling conveyor belt can move up to 20 tons per hour. The Miniveyor does not leave a footprint making it perfect for landscaping and archaeology.